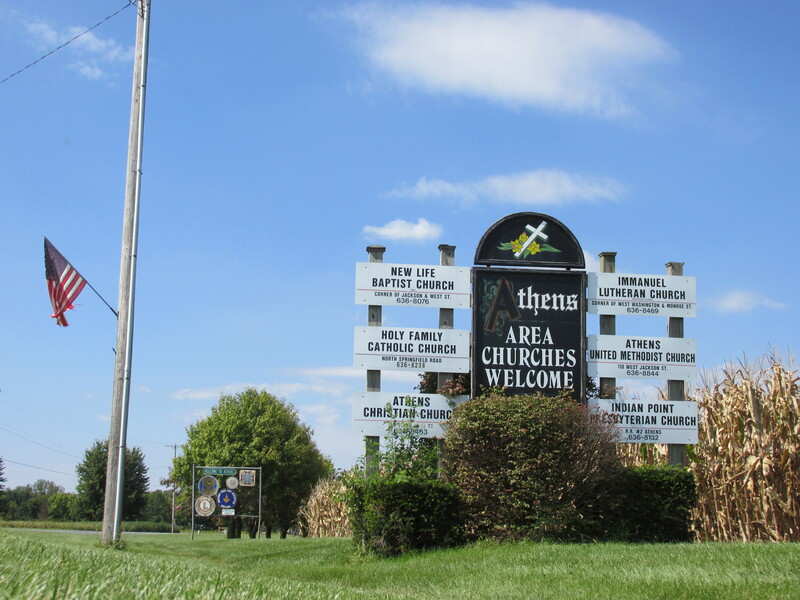 Athens is a town like many others in central Illinois. With a population of about 2,000, it’s rural, and encapsulated by fields of crops like corn and soybeans. Visitors driving into town off the interstate are ushered in by numerous American flags and a welcome sign listing several area churches. 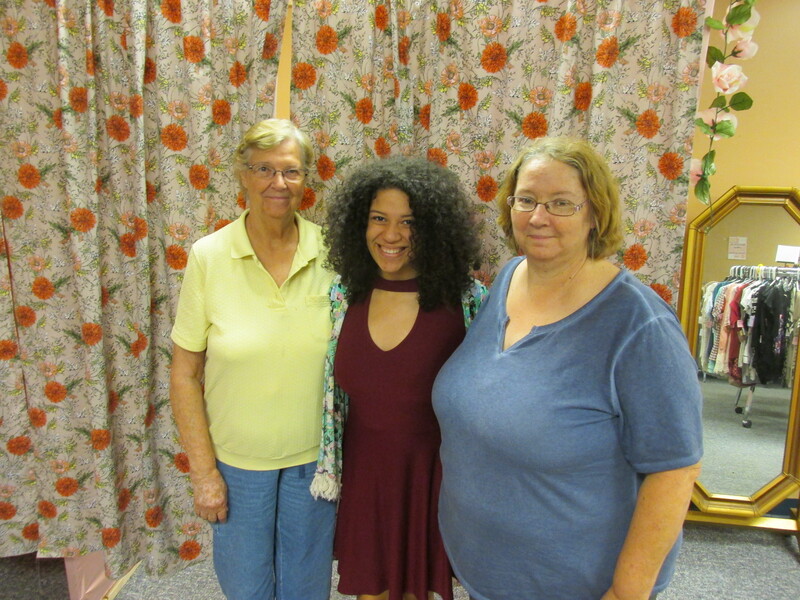 Aaliyah Kissick calls Athens home and at 18 years old she is a bit of a local celebrity. In 2016, she was Miss Jr. Teen for Illinois in the Miss United States National Pageant. And even though she just started college this school year, she’s already a business owner. 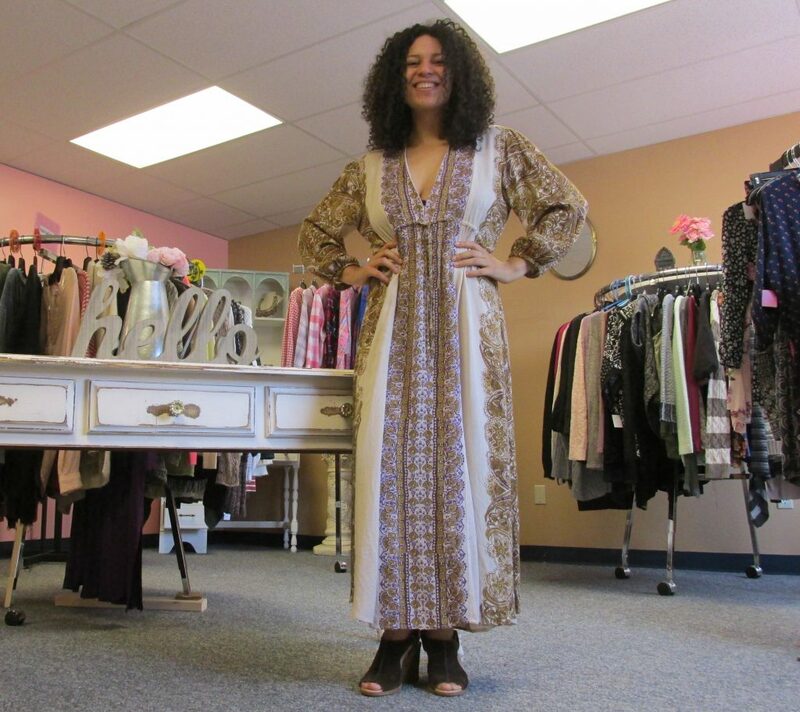 Her mom Cheryl is a nurse who chips in and helps as she can, but Aaliyah’s clothing store, AK Boutique, is her own. The reused clothing she sells goes well up into plus sizes, as she makes a point of being inclusive. What she doesn’t or can’t sell at the store, she donates. “My three values are self competence, sisterhood and sustainability. So I feel like with the store, I’m really able to lift women up, have them come together to form a community and then we can make a difference in the planet by reducing our carbon tracks and all that fun nerdy stuff,” said Aaliyah. Aaliyah’s store is located on the town square — near a tavern, a funeral home and the post office. Of the people who live in this town, the vast majority are white. But for Aaliyah, who said she was sometimes bullied about her race, politics came into view at a young age. She said it was the 2008 presidential election that first piqued her interest. She was eight. Aaliyah, a self-identified moderate, said she’s wary of publicly showing support for candidates. She doesn’t want to alienate opinionated customers. But she also seems genuinely open-minded when it comes to exploring all her options this election. She said the Illinois gubernatorial race has been impossible to ignore. It was this spring when she started noticing political ads ramp up. The political battle being duked out between Democrat J.B. Pritzker and Republican Gov. Bruce Rauner is on track to be the most expensive statewide race in U.S. history. Pritzker is a multi-billionaire, and Rauner’s worth is estimated to be at least several hundred million. Aaliyah said as an entrepreneur herself, she supports other business owners running for office. “I actually think that it’s a good thing. I mean, maybe not necessarily a bunch of multi-billionaires that have money in their family, but business owners as a rule are very good at being multifaceted. Business owners, especially if they’re entrepreneurs and they start their business, wear all of the pants or skirts in their business, so they learn how to interact with people. They learn how to be diplomatic. They also learn how to manage money,” said Aaliyah, who talks in a way that makes it easy to imagine her own bid for office someday. She’s calculated and cool, with an easygoing laugh that pairs well with her contemplative answers to questions. Aaliyah’s ideologies are not easy to pin down, and that’s okay with her. She has her whole life to choose a political party. For now, she said she’s open-minded and undecided. She does think that overall, candidates underestimate the intelligence of voters. As one example, she points to J.B. Pritzker’s support for legalizing recreational marijuana. Lately, she’s been looking into the two third-party nominees, Kash Jackson, the Libertarian candidate, and Sam McCann of the self-established Conservative party. Aaliyah says she’ll stay open to hearing from all sides. It remains to be seen if Aaliyah will ultimately cast her first vote for governor with a third party candidate, but as she weighs the best outcome for her future, she says all offers remain on the table and will get well-researched consideration.